Denon DJ is coming out with some really cool and innovative products lately and the latest multimedia player and Controller has been (or is about to be) revealed. Introducing the Denon DJ SC2900 Mutlimedia player and MIDI controller. The new SC2900 is basically a Denon DJ SC3900 with a jog wheel style platter in place of the actively spinning platter. With this jog wheel change, the Denon DJ SC2900 is now in direct competition with the all mighty Pioneer CDJ's and everyone is dying to see what they can really do. The SC2900 will basically combine the functions of the SC2000 and the SC3900 giving DJ's a club-standard type of "jog-wheel" feel while giving the DJ the ability to playback audio from CD's and USB drives. The jog wheel has a multi-color LED ring around it to give the DJ key indicators during playback. Just as with the SC3900, the SC2900 has four on-board hot cue buttons, loop buttons, separate start/stop speed adjustment knobs, and easy to use browsing controls. There will also be the inclusion of the famous "Slip-Mode" which allows DJ's to manipulate the song using the jog wheel while the track continues to play normally underneath until the slip mode is turned off. There will also be tension adjustment controls so that the DJ can get the tension/resistance of the jog wheel just right (loose or tight). The Denon DJ SC2900 can also be linked together with the new Denon ENGINE software in order to share libraries between devices, ipods, computers, and hard drives. On top of all this, the Denon SC2900 is a full-out MIDI controller that can work with almost any DJ software of the user's choice. Every control is fully MIDI mappable but I'm sure Denon will include the popular software setting mapping files on their website when they are released to the public. We'll have a lot more on the Denon SC2900 when they are released sometime in August and we'll try our best to get one in the lab for a full HD-Video review. Considering purchasing the Denon SC2900? Have questions? Ask people who've recently bought one. Do you own the Denon SC2900? Why not write a review based on your experience with it. What can i say but these decks are lovely jubbly.lots of control,all the bells and whisles you will ever need,they look cool with my mcx 8000,beats my old pioneer decks any time. This is Midi controller is amazing I can spend hours playing with it. The effects are really cool and when all the lights are on it looks stunning, really happy with this purchase. The only thing i have noticed is the software that comes with the denon to manage your playlists doesn't have the best bpm detection. Despite this there is a lot of functionality in this little beauty. Excellent, friendly service. Really shocked to receive a phone call thanking me for my order and letting me know when it would be delivered. Will definitely use again. 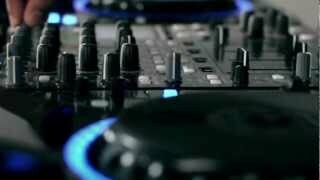 Seen a video for Denon SC2900 online or have you own video? 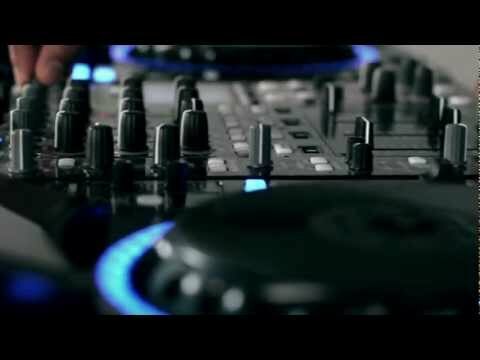 Check out Denon SC2900 on DJkit.com!